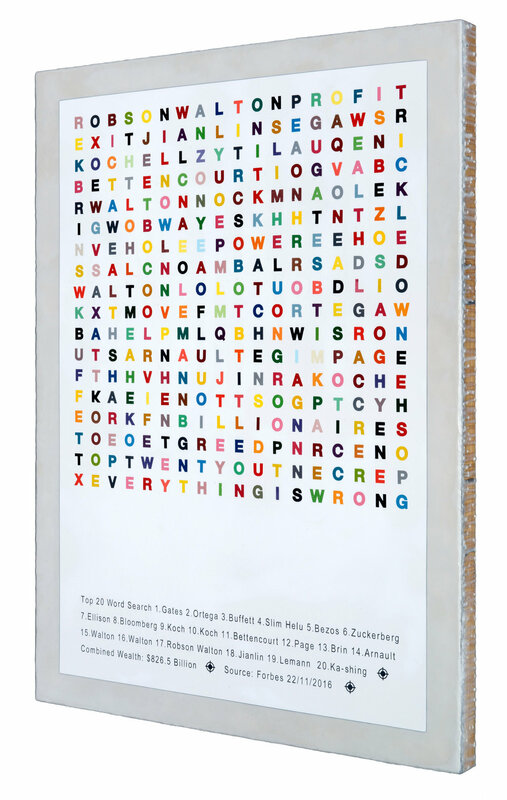 Top Twenty (everything is wrong) is a painting of a wordsearch of the world's top 20 Billionaires according to Forbes list. I made up the wordsearch using an online tool and then added to it. This then became my sketch for the painting. The painting itself appears to be an enlarged copy but it is actually made from hand cast and laser cut letters incorporated into a poured and painted white polystyrene field. The painting reflects and questions our fascination with status and success. Although it was completed and visible in my studio at the recent Open Studios weekend, I think that it now needs a more public airing - I'm looking into it.